A few years ago, when I first started using the Internet, I was corresponding with a young lady from America. In the course of conversation I mentioned that I had to leave to go and rehearse for this year's panto. The lady in question didn't have any idea of what I was talking about. I am again in the middle of rehearsals for panto, and thought this might be an opportune moment to explain, where necessary, the great British tradition of pantomime. 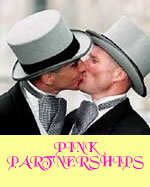 The art of pantomime has developed over centuries to arrive at the tradition we now enjoy in the UK. Originally performances were mime, but the show now incorporates all different types of acting skills. 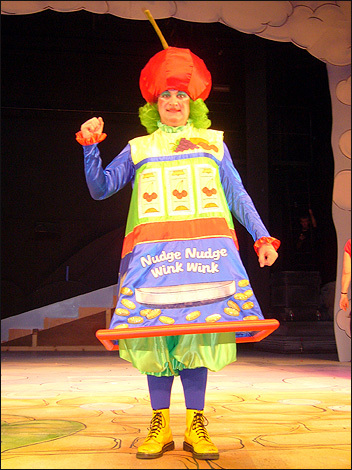 Aimed primarily at children, pantomime includes jokes and innuendos that are above the children and aimed at adults. Although considered to be "family entertainment" certain jokes can be a bit blue. Originally, pantomime didn't start until Boxing Day (the day after Christmas), but now the panto season can start as early as the beginning of December. There are several essential parts of pantomime which are always followed. Jack and the Beanstalk; Goldilocks and the Three Bears. There are a couple of conventions which MUST always be followed. The "leading man" or Principal Boy is a woman pretending to be a man. She usually wears shorts (the tighter the better) fishnet tights and thigh length, high-heeled boots. This character is the hero of the story and wins out in the end. Examples include Jack in Jack and the Beanstalk and Aladdin. The "leading lady" or Dame is a man dressed as a woman. The character is over the top and the costumes are bright and can be outrageous. 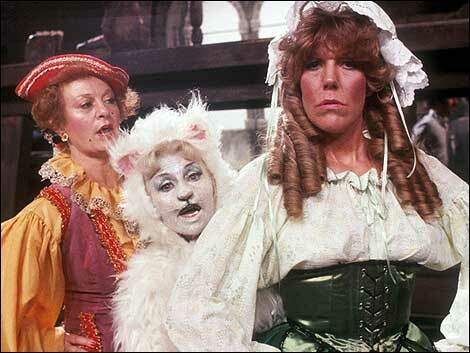 The character is usually "a goodie" although some pantomimes do have a dame as the baddie. 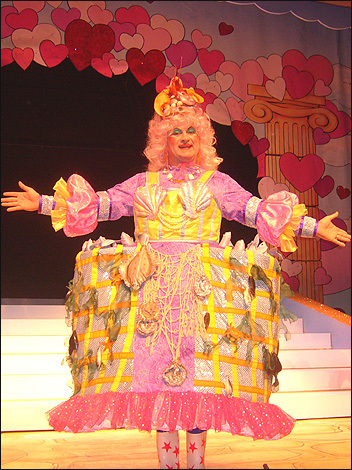 The audience is in no doubt that this character is a man dressed as a woman. And some jokes can play on this. There is always a "baddie". Examples include the wicked stepmother in Cinderella and the wicked Queen in Snow White. One of the essentials of pantomime is audience participation. The audience are positively encouraged to cheer the heroes and boo the baddies. There is always a princess or someone similar (Principal Girl) who the principal boy saves and marries. Examples include Snow White and Cinderella. There is usually a scene where someone is hiding behind someone else, causing plenty of audience shouts of "it's behind you" and there is usually a slapstick scene where someone gets covered in something nasty. 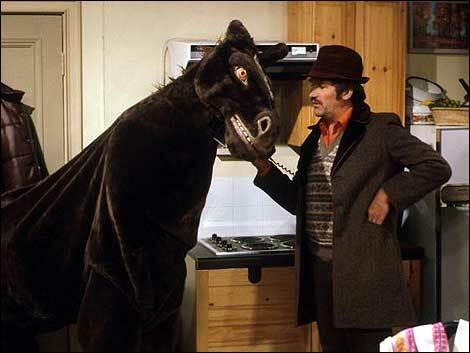 There is usually at least one scene where two of the characters argue with each other (a goodie and a baddie) and the audience take the side of the goodie, the usual shout is "Oh no he isn't" and "Oh yes he is". In the UK professional theatres always stage pantomimes with famous names in the leading roles. Pantomime is also very popular with amateur groups, with some groups even writing their own scripts. Part of the popularity has to be the fact that actors can deviate from the script and tend to enjoy the production as much as the audience. Speaking from experience, it is liberating to know that if you make a mistake you can adlib your way out of it.